Tue., Aug. 28, 2018, 1:59 p.m.
COLUMBUS, Ohio – Ohio State coach Urban Meyer’s current suspension and previous paid leave have restricted him from talking football with his staff and athletes during August with one exception – a team meeting the day after the suspension was announced. Meyer and athletic director Gene Smith met with the team on Thursday. Meyer received written details of the suspension on Sunday, four days after the discipline was announced publicly. 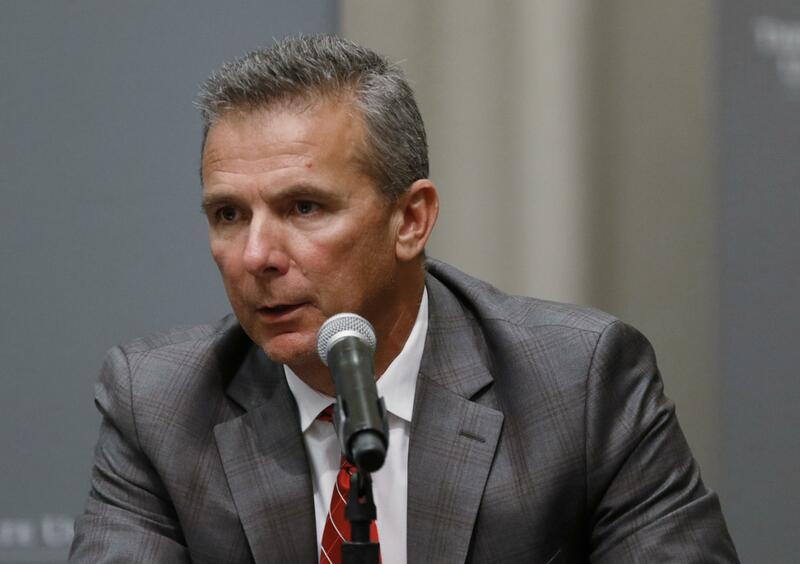 At 5:53 p.m. Monday, Meyer was sent an email from Basso confirming that the Thursday meeting – “in order to apologize to the team” – had been authorized. The suspensions followed a two-week investigation that found Meyer and the athletic director mismanaged now-fired assistant coach Zach Smith, who was accused of domestic violence and other problematic behavior. Zach Smith – the grandson of former Ohio State coach and Meyer mentor Earle Bruce – has denied being aggressive with his ex-wife. Published: Aug. 28, 2018, 1:59 p.m.